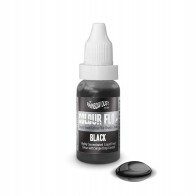 Whether you get frustrated at having to clean out the airbrush between colours, or are under pressure to finish a project and need a clean pen to rely on. Having a spare airbrush pen will definitely be a useful addition to your airbrush kit. This light weight hot pink pen isnt just a pretty face - it includes a removable large 9cc lidded cup - great for bigger projects with a wider 0.4 needle meaning that it's perfect for liquids with a thicker viscosity. 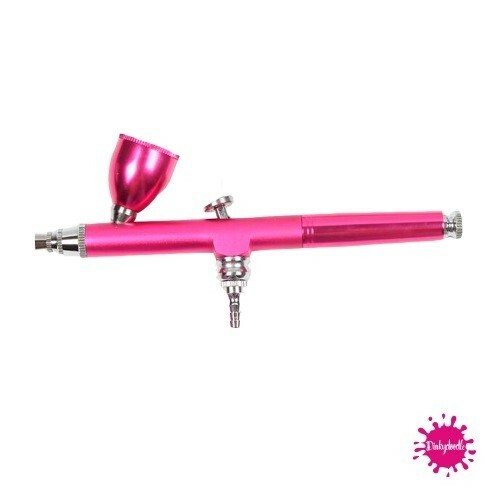 This pen is suitable for use with any single action airbrush compressor (such as Dinkydoodle airbrush either old or new version) and comes with the easy release connector.